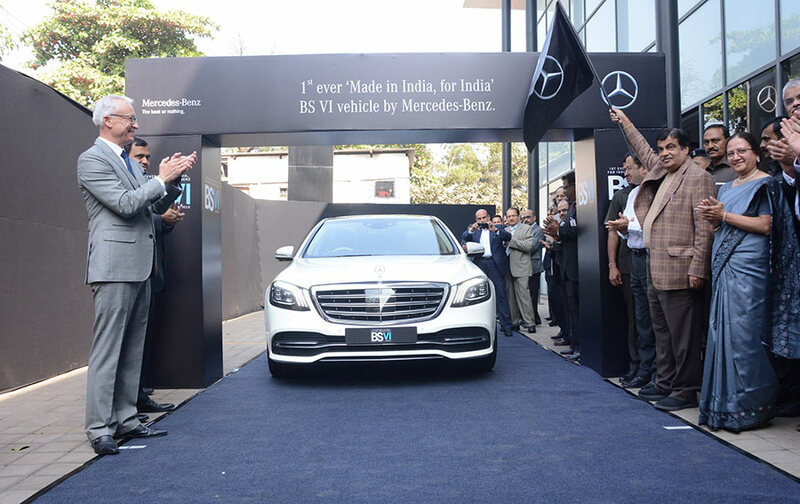 India’s largest luxury car brand Mercedes-Benz, today achieved a historic milestone in the Indian automotive industry, by being the first automobile brand in India to launch the first ever BS VI compliant vehicles, ‘Made in India, for India’. The Certificate of Compliance to the CMVR (Central Motor Vehicles Rule) for Mercedes-Benz India was presented by ARAI Director, Smt. Rashmi Urdhwareshe to Mr. Roland Folger, MD & CEO, in the honorable presence of Shri Nitin Gadkari Ji, Minister of Road Transport Highways & Shipping and Water Resource, River Development, & Ganga Rejuvenation and Shri Abhay Damle Ji, Joint Secretary, Ministry of Road Transport Highways and other dignitaries. To mitigate the rising pollution in Delhi and adjoining areas, the Government is trying to advance BS VI grade fuel availability in Delhi NCT by April, 2018 and shift to BS VI norms by April, 2020 across the country. This will drastically reduce pollution and help us advance to better technologies used globally. 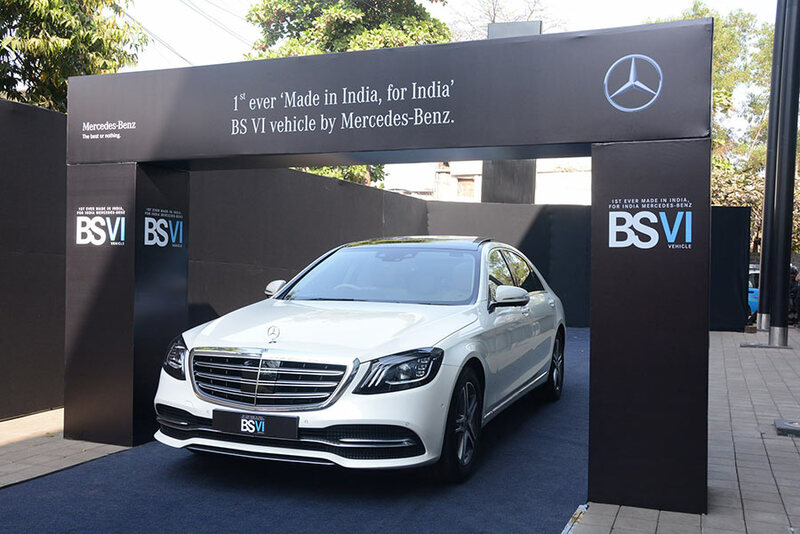 I want to congratulate Mercedes-Benz for their efforts towards not only making safe vehicles but also for a greener vehicle, by introducing the first BS VI vehicle in India much ahead of the regulations. It is our endeavor to support the Government and the auto industry in terms of developing and testing the vehicles and promote cleaner technology. In line with this, we are happy to present the Certificate of Compliance to CMVR, to Mercedes-Benz India for both their BS VI compliant petrol and diesel vehicles. We conducted stringent and extensive tests on both the vehicles, which includes particulate numbers, engine power test, on-board-diagnosis test and Real world driving emission (RDE) data collection. The results of the test are in compliance to prescribed CMVR rules followed by ARAI. BS VI test protocol and facilities are significantly different than BS IV and ARAI is fully equipped to handle upcoming development and certification work for all vehicle models and engines. We are glad to fulfil our commitment to the customers and to the Government’s vision of ‘Make in India’, by introducing the first ever ‘Made in India, for India’ BS VI compliant vehicles. Mercedes-Benz vehicles are world-class products and they comply with the most stringent emission standards, and the ARAI certified new BS VI vehicles reiterate this high benchmark. The introduction of India’s first BS VI vehicles for the Indian market is a significant milestone and we strongly believe that this will pave the way for other manufacturers to introduce their BS VI vehicles in India. This, we believe would also be beneficial for the end customer as they could use the latest technology available. Mercedes-Benz has introduced BS-VI vehicles in India almost 2 years in advance of the regulations. We strongly believe that early introduction of BS-VI vehicles will further accelerate the adoption of cleaner vehicles in the market and thereby achieving the Government’s clean air initiative. to existing Bharat Stage IV emission standards. Of particular note is the tightening of Particulate Matter (PM) & NOx mass emission limits. In a BS VI vehicle the NOx limit reduction is upto 68% and PM limit reduction is achieved at 82% in BS-VI, compared to that in BS-IV. S 350d vehicle comes with a state-of-art engine and exhaust after treatment technology, such as refined engine, EGR, DPF, SCR etc. These technological measures lead to reduce the emissions significantly and meet the BS-VI regulations with huge margins. The S 350 d features the most powerful diesel car in Mercedes-Benz history. The new six-cylinder Diesel engine is designed to comply with future emissions legislation (RDE – Real Driving Emissions). All the components of relevance for efficient emissions reduction are installed directly on the engine. The integrated technology approach combining the new stepped-bowl combustion process, dynamic multi-way exhaust-gas recirculation and near-engine exhaust-gas after treatment, for the first time combined with variable valve-lift control, makes further reduced consumption with low emissions possible. Although the output has increased noticeably compared to the preceding model, the new engine consumes up to six percent less fuel. The special traits of the top-of-the-line engine in the diesel family include the stepped-bowl combustion process, two-stage turbocharging and, for the first time, the use of CAMTRONIC variable valve-lift control. Its design features a combination of aluminium engine block and steel pistons as well as further improved NANOSLIDE coating of the cylinder walls.